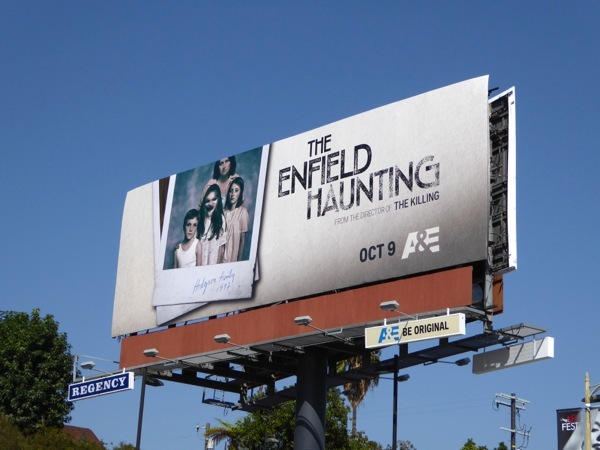 With Halloween fast approaching we thought we'd get into the spooky spirit with these creepy billboards for A&E's new mini-series, The Enfield Haunting. 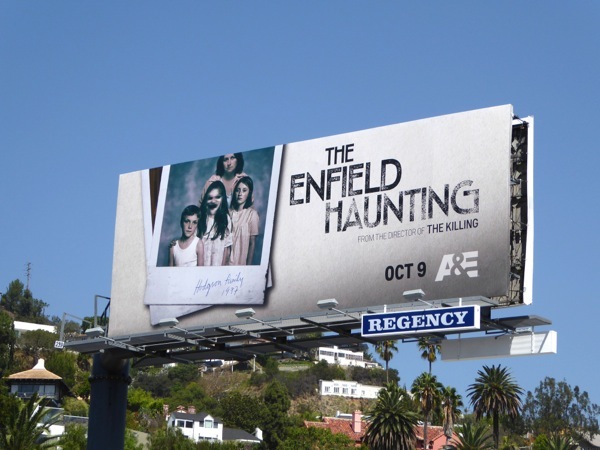 Family portraits are a regular staple of billboard ad creatives, like this Wahlburgers billboard and this It's Always Sunny in Philadelphia billboard illustrate, but this polaroid of the 'Hodgson family' from 1977 has a sinister twist. 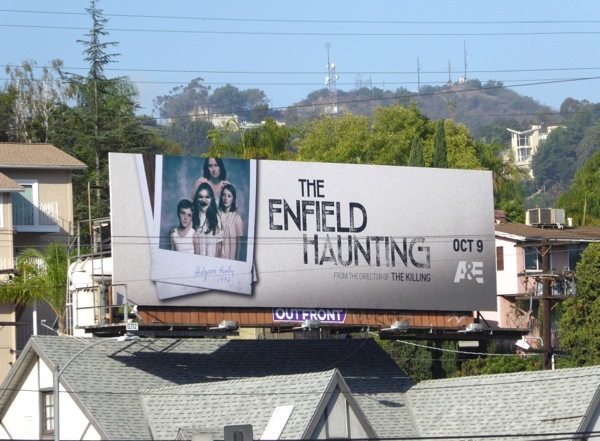 In 1977 an ordinary council house in Enfield, North London experienced a series of bizarre and terrifying events, and skeptical investigator 'Guy Lyon Playfair' (Matthew Macfadyen) and paranormal researcher 'Maurice Grosse' (Timothy Spall) were brought in to help the Hodgsons with this suspected poltergeist activity. 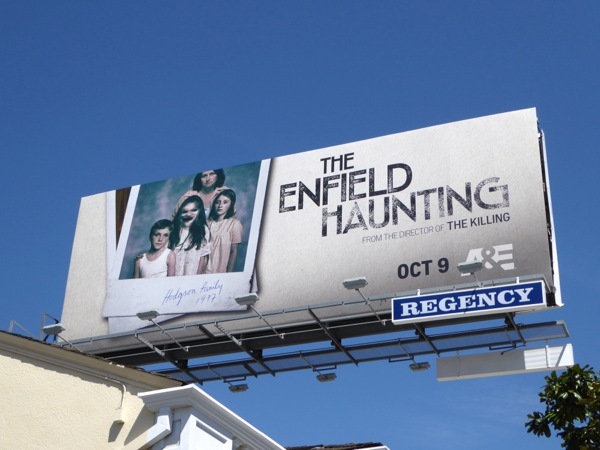 This three-part British series is directed by Kristoffer Nyholm, the director of the hit Danish series The Killing, and is based on the real life events and Guy Lyon Playfair's 1980 book, This House Is Haunted: The Investigation of the Enfield Poltergeist. 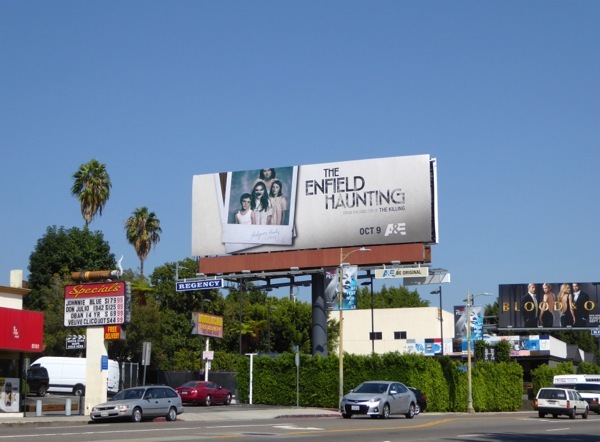 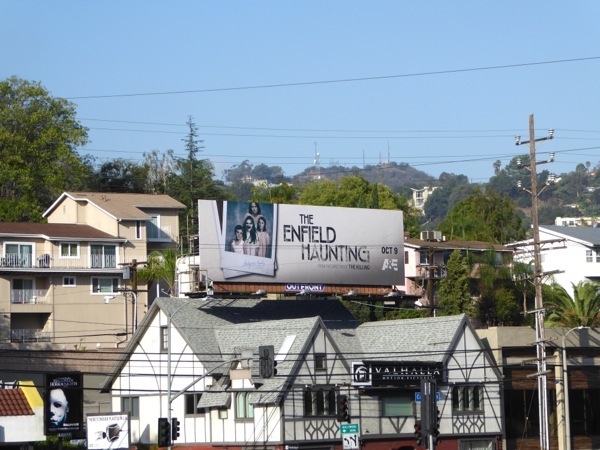 These billboards for The Enfield Haunting, which already aired earlier this year in Britain and just finished its final episode on A&E Network, were snapped above Barham Boulevard, Sunset Plaza and Sunset Boulevard on September 22, 2015. 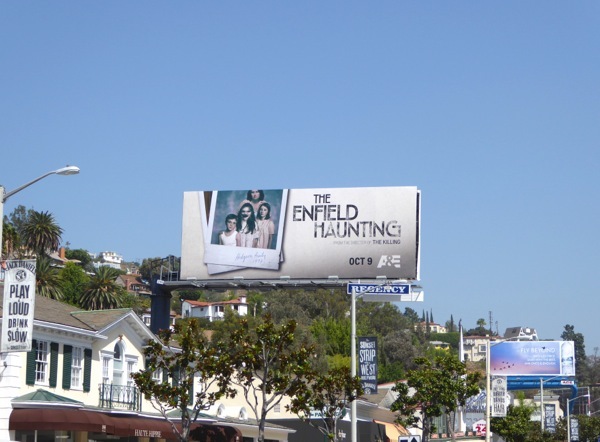 If you like this haunting ad creative, be sure to check out more Halloween-themed billboards here at Daily Billboard, and stay tuned this week for more sinister goings on in the city skyline.